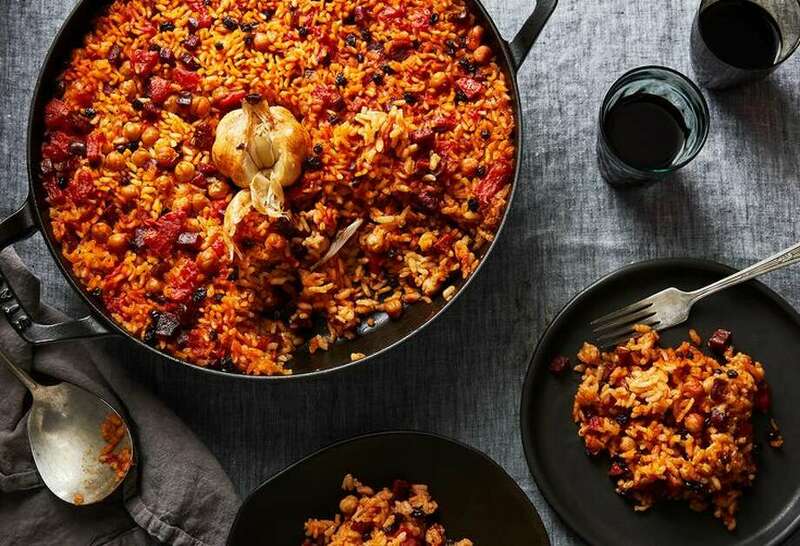 Tucked inside Claudia Roden’s The Food of Spain (a massive tome that encompasses the country’s regional cuisines) is a recipe for Baked Rice with Chickpeas and Currants (Arroz al Horno con Pasas y Garbanzos). What caught my attention wasn’t a picture or any unusual ingredients, but the instruction to bake a whole head of garlic (called a partridge by Valencians) in the middle of the rice, so everyone can take a few cloves and squeeze out the soft insides at the table. Utterly intrigued, I dropped everything and made the dish. It turned out to be one of the most delightful, memorable dishes I’ve made in the past year. 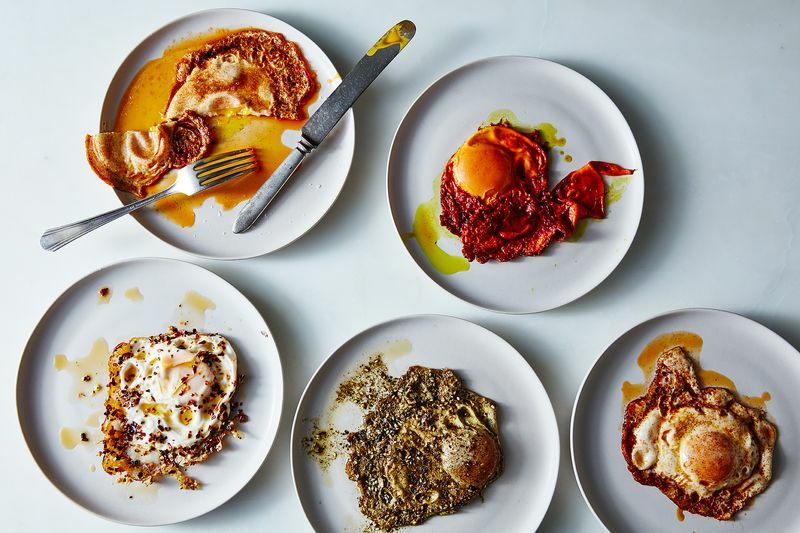 This simple yet complex dish originated in the mountainous interior of Valencia. There are so many details to love: very few ingredients and steps; a sweet savoriness from garlic, currants, tomatoes, and stock (broth from a cocido, a stew of boiled meats, is traditional, though Roden suggests chicken or beef stock); and a foolproof technique for cooking tender, flavorful rice (more on this in a bit). And then there’s that partridge perched in the middle, which emerges from the oven with its papery skin unfurled like feathers. It’s not only whimsical, but flavors and perfumes the entire dish. 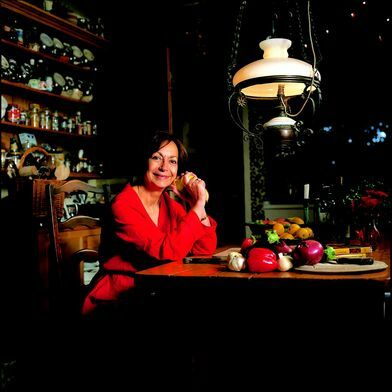 Roden suggests serving the dish with meatballs, fried pork ribs and sausages, or blood sausages that are customary to the region. 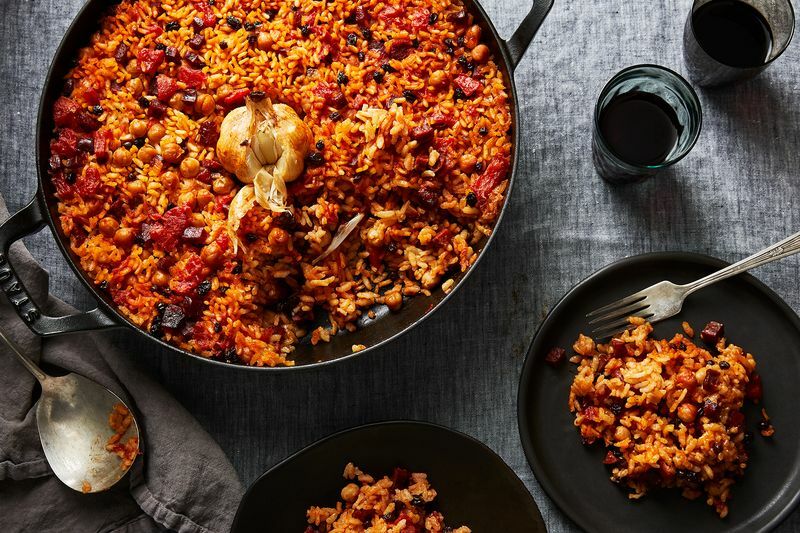 I wanted to get this dish into my weeknight rotation stat, so I made it a one-pot meal by adding chorizo—just enough to impart flavor and heft without weighing the dish down. 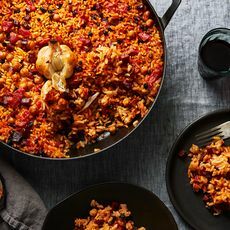 I tweaked the proportions of currants, chickpeas, and rice to work well with the chorizo, and opted for canned tomatoes versus fresh so I could make this all year long. Rather than adding the rice to boiling stock as Roden does, I borrowed a step from risotto and toasted it first in the rendered chorizo fat to build flavor. I also found (and noted) the amount of salt needed for a well-seasoned dish, since there’s no tasting as you go. One thing I didn’t change at all was the unusual, ingenious technique for cooking the rice in a hot oven, one of my favorite details of the dish next to that partridge. Rather than bringing the stock to a boil and quickly covering the pan (as we’re taught to do when making rice), you slide the pan into the oven (sans lid) so the high heat can do its work. And the rice is better off for it: The top layer gets crunchy, and you'll find creamier, softer rice underneath. Every ingredient benefits: The tomatoes turn soft and jammy, the chorizo browns and crisps, and the garlic turns golden. Deeply flavorful and satisfying, my version didn’t disappoint. It’s hearty enough to stand alone for dinner but versatile enough to be served with meat or as part of a big spread when hosting friends. It’s a dish that always puts a smile on my face, even at the end of a long day. Sausage: I like fully cooked Spanish-style smoked chorizo (such as this) or cured Spanish chorizo (such as this). Other types of fully cooked sausages (smoked chicken sausage, smoked andouille, etc.) can be substituted but will change the flavor profile of the dish. Variations: For a vegetarian version, double the olive oil and chickpeas, omit the chorizo, and use vegetable stock. Top each bowl of rice with a pimentón fried egg. Rice: Short-grain risotto rice (arborio or carnaroli) or Spanish paella rice work well. I don’t recommend substituting another type of rice since the rice to liquid ratio will be different. 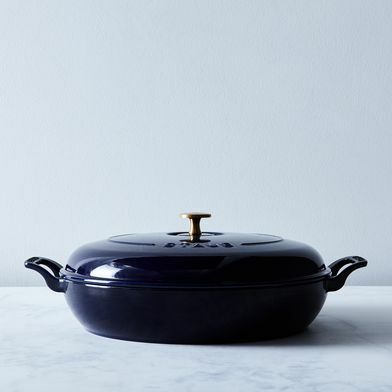 Stock: In such a simple dish, every ingredient matters. Homemade chicken stock is ideal. If purchasing stock, opt for salt-free or reduced sodium, for better control of the dish’s seasoning.